Step out of Johannesburg to go to Sandton and see Montecasino, which is approximately 32 minutes away. Pack the 22nd (Thu) with family-friendly diversions at Gold Reef City. The adventure continues: see the interesting displays at Apartheid Museum, get a sense of history and politics at Constitution Hill, and steep yourself in history at Mandela House. To find more things to do, traveler tips, reviews, and tourist information, use the Johannesburg vacation trip planner. Singapore, Singapore to Johannesburg is an approximately 14.5-hour flight. The time zone changes from Singapore Time (SGT) to South Africa Standard Time (SAST), which is usually a -6 hour difference. Traveling from Singapore in June, expect Johannesburg to be colder, temps between 21°C and 5°C. Wrap up your sightseeing by early afternoon on the 23rd (Fri) to allow enough time to travel to Nelspruit. 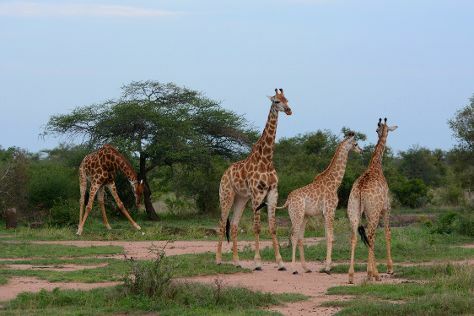 Kick off your visit on the 24th (Sat): explore the wealth of natural beauty at Kruger National Park. On the next day, buy something for everyone on your list at Riverside Mall and then look for all kinds of wild species at Jane Goodall Chimpanzee Eden Sanctuary. To find more things to do, other places to visit, and other tourist information, refer to the Nelspruit itinerary planner. You can do a combination of train and flight from Johannesburg to Nelspruit in 3 hours. Other options are to drive; or take a bus. Prepare for a bit warmer weather when traveling from Johannesburg in June: high temperatures in Nelspruit hover around 25°C and lows are around 11°C. Wrap up your sightseeing by early afternoon on the 25th (Sun) to allow time for travel to Cape Town. Venture out of the city with trips to Cape of Good Hope (in Table Mountain National Park) and Boulders Beach (in Simon's Town). And it doesn't end there: take your sightseeing to a higher altitude at Table Mountain, learn about winemaking at Klein Constantia, stroll through Clifton Beaches, and take in the waterfront at Victoria & Alfred Waterfront. To find where to stay, other places to visit, and tourist information, you can read our Cape Town sightseeing planner. Fly from Nelspruit to Cape Town in 4.5 hours. Alternatively, you can drive; or take a bus. Traveling from Nelspruit in June, expect nights in Cape Town to be about the same, around 9°C, while days are a bit cooler, around 20°C. Wrap up your sightseeing on the 29th (Thu) early enough to travel back home.